A highlight of the resort is this Spanish galleon replica, which houses a music bar for evening entertainment. 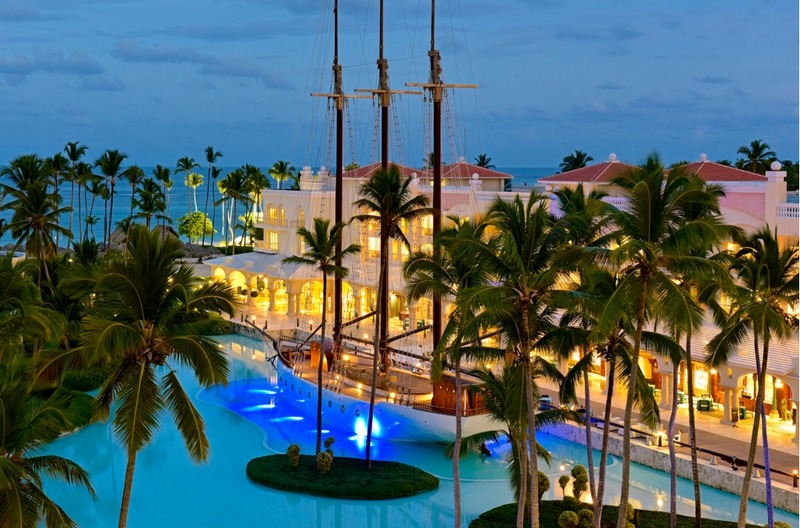 Iberostar Grand Hotel Bavaro is the adults-only option in the Iberostar resort complex on Bavaro Beach. Highlights of the resort include a two-story oceanfront spa, swim-out suites, butler service, and three pools exclusively for adults. The resort has 272 suites, including 12 oceanfront grand suites, 19 swim-out suites with direct access to the pool, and 241 standard suites with garden or ocean views. All rooms offer either two full beds or a king size bed, hot tubs for two in the room, minibars, pillow menus, and marble bathrooms with toiletries. 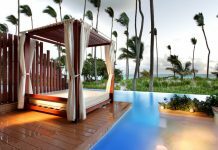 Dining options at Iberostar Grand Hotel Bavaro include a buffet, a beachfront restaurant, and four a la carte restaurants serving Italian, Japanese, surf and turf, and more. There are five bars at the resort, including a music bar located in a replica of a Spanish ship. 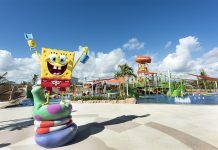 Guests are also able to dine at other resorts in the Iberostar complex. 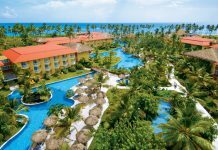 Other resorts in the Iberostar Punta Cana complex: Iberostar Punta Dominicana, Iberostar Punta Cana, and Iberostar Bavaro Suites. Visit Iberostar Grand Hotel Bavaro’s website for more information.